The PetSafe® Basic Static Bark Collar is the perfect solution for dogs that bark excessively. The bark collar requires no programming and includes progressive correction – slowly increasing in static correction levels until he stops barking. 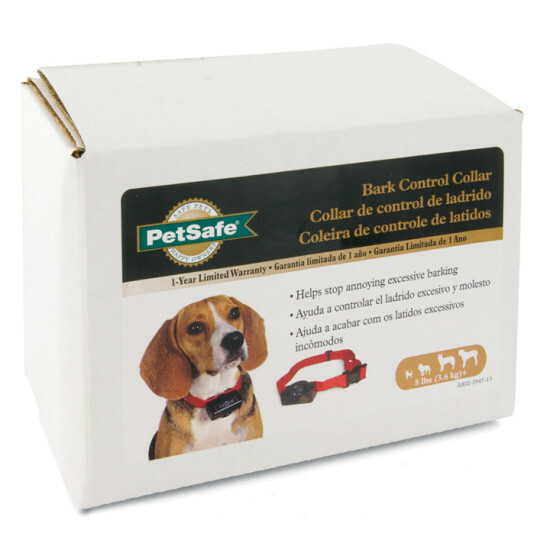 The collar is safe and effective with 6 adjustable levels of static correction. The vibration sensor detects the dog’s vocal cords moving to help ensure no false corrections and the automatic safety shut-off stops correction after 50 seconds. The collar is waterproof, submersible up to 5 ft.—making this collar perfect for dogs that like to play outdoors. The PetSafe® Basic Static Bark Collar allows you to live peacefully with your dog.